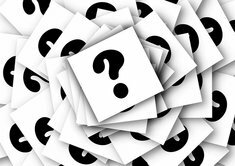 Looking for a fuel-efficient, vehicle for active musician, frequently hauling multiple instruments including an acoustic bass as well as bulky gear. ?Road noise can't be tooloud. ?Safety a consideration as well... have spouse and 8yr old child. Was driving an '02 Ford Focus Wagon. Loved it, but road noise was an issue. New transmission will cost more than I want to put into car, so looking for other options. 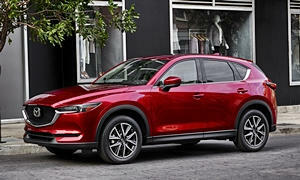 A musician friend of mine recently bought a Mazda CX-5 and loves it. He doesn't haul an acoustic bass, though, so you may want to try one on and see if it fits. If your ego allows minivans are good values used. Check out the reliability data here before decising. I purchased a 2011 Volvo c30 in May, 2016. I love the car! It's a hatchback with an 5 cylinder turbo. Positives: Excellent gas mileage (24 city- 30 hwy), very easy to park, 4 seats, WELL built (no rattles or squeaks), quiet ride, easy to load items in hatch, high safety ratings and extremely fun to drive. Volvo had been making the turbo T5 engines for years and it's reliable. 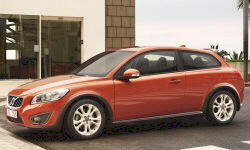 If you need more room than the c30, check out the Volvo wagons such as the v50. Negatives: Volvo parts can be expensive. Do not go to dealers. They overcharge. Find a trustworthy, honest mechanic. 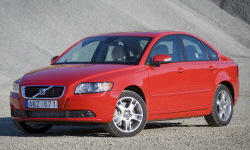 In many cases for Volvo repair, the issue is small and can be fixed cheaply. But untrustworthy dealers and mechanics make unnecessary repairs for more money. I have been an active musician all my life playing in trio or quartet, as a tenager owned a Dodge short wheel base Van, could pack the whole bands gear and travel to gigs with one vehicle as I had 3 passenger middle seat. The Van was a gas hog, but believe it or not in those days paid 39 cents CDN per imperial gallon. Was so glad wheen mini Vans came out, didn't have quite the same room but still carry five people and all the bands gear (drums, PA system, I had a Fender Rhodes and hauled a big Leslie 142) no problem. I have been buying Mini Vans since 1988, in 1995 thought I could lose the Mini Van stigma and bought a Jeep Gran Cherokee, BIG MISTAKE, Jeep was always in the shop for repair and my daughters 1993 Honda Civic coupe with rear folding seat could swallow more gear. Hate to say this but the Mini Van is the king of haulers for both gear, ride and people and gets reasonable fuel economy. Latest Vehicle is a 2006 Honda Odyssey, it has been an excellent vehicle, we regularly do long trips with this vehicle and I just can't get rid of it.